Welcome to our home page! The ASMR is an officially chartered 501(C)3 non-profit organization, based in Abilene, Texas. The club was established to promote public awareness and appreciation of Abilene's railroad heritage, and the important role played by railroads in national and local history. The club was founded in 1991, and is currently meeting at 598 Westwood Dr. We operate a permanent 50'x29' HO-scale layout and a small N-scale layout. The HO-scale layout has a double track main line, and is equipped for running DCC engines. The club members also own a HO-scale modular layout, which members take to various community events around Abilene. In addition, several members own portable layouts in various scales, which can be exhibited from time to time. We meet Saturday mornings from 10:00 AM until Noon, with business meetings on the first Saturday of each month, and operating sessions or competitions on the third Saturday of each month. Club members also get together for informal running sessions on Tuesday evenings from 7:00 - 8:30 PM. Meetings and operating sessions are always open to the public. * Treasurer Ken England, (325) 695-2458. Copyright � 2009, Abilene Society of Model Railroaders. All rights reserved. Web page by Cody Hilliard; some page design by Dusty Garison. These pages last updated Apr. 9, 2010. Thanks to TRAINWEB for hosting our site. E-mail comments here. Some content provided by java script source. Ken England running a train with a big smile. Ken Riediger dispatching the railroad. 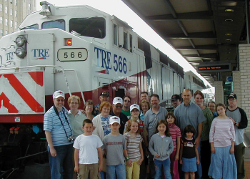 Saturday, May 17, ASMR members, their families and guests, spent the day riding trains in Fort Worth and Dallas. The group boarded the Trinity Railway Express for a ride from Downtown Fort Worth to Downtown Dallas. There, they rode DART's light rail system, including a segment of the high-speed subway, before boarding the historic McKinney Avenue Trolley. Click HERE for more pictures from this fun trip! On Saturday, March 15, several club members traveled to Brownwood, to visit the Lehnis Transportation Museum. They toured the museum, enjoyed the exhibits and explored the caboose. From left: Dusty Garison, Jim Gibson, Jeffrey Cowen, Steve England, Ken England, Ken Riediger. Saturday, January 16, several Abilene Society of Model Railroader members carpooled to Plano to the annual Train Show. Saturday, March 27, Ken invited the club to a operating session on his layout. 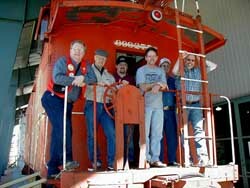 Several members spent a fun Saturday afternoon running trains. Click HERE for more pictures from this operating session. On March 6, 2017 the members voted to move into a new space at 498 Westwood Dr. allowing the club to expained its layout to have almost 800' of main line track. 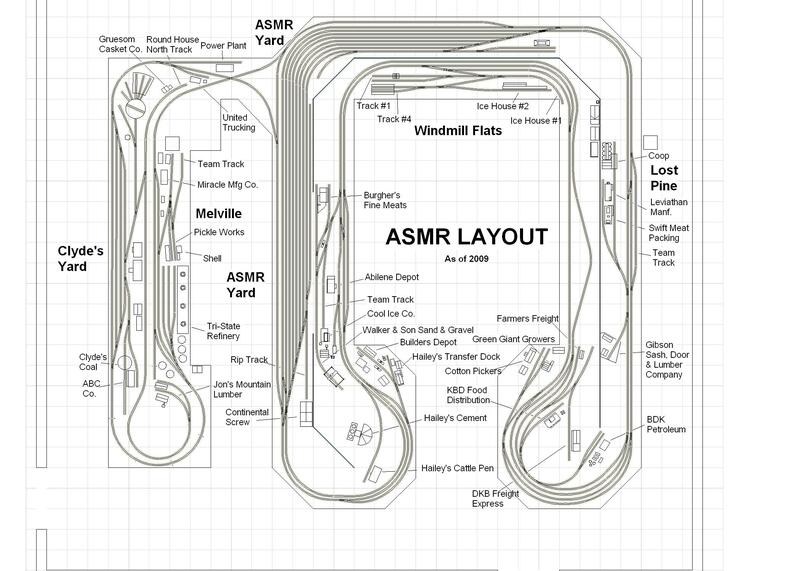 If you are not a current member, this would be a good time to join the ASMR and be part of this exciting endeavor. Please check back often to see the updates.